We are delighted to launch a new service for expats: our network of expatriates. You can make contacts with expatriates living near you and even browse by nationalities. 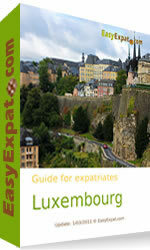 You will also find the thumbnails of expats registered on EasyExpat.com on all our pages. You are browsing the Berlin city-guide? You will see the latest expats living there and link directly to all our members in the city. 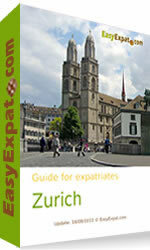 We are proud to launch our new city guide for expatriates in Zurich. Switzerland brings forth images of majestic peaks with brown cows dotting the hillside, but the country is so much more. It is a country that offers refined delicacies like Swiss cheese and chocolate, the austere Alps and the unquestionable security of it's banks. 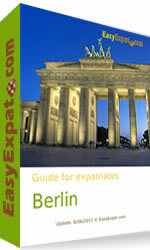 We are proud to launch our new city guide for expatriates in Berlin. People from Berlin often point out that Berlin is not Germany. Though it is the capital, the city is distinct and different from the rest ofteh country. However, there are many symbols of Germany's rich history in Berlin, from the grandiose Brandenburger Tor to the bomb-scarred side-walks. In the center of the city, an island of world-class museums showcases the history of Berlin and artifacts from around the world. Luxembourg is a mighty little country, although most Luxembourgers would resent the use of "little". It is the sixth-smallest country, yet holds the prestige of being the only Grand Duchy in the world. It is also one of the top three richest countries in the world with a matching high standard of living. 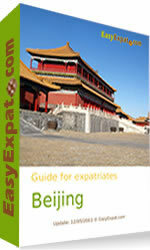 We are proud to launch our new city guide for expatriates in Beijing. 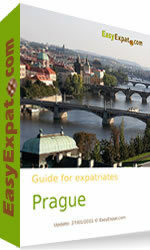 Download the full digital PDF expat guide in your city! From now on, you can download all articles of each city-guide in one single booklet, with a special layout, additional maps and photos for FREE on EasyExpat.com! Prague has been a beloved Bohemian capital through invading armies, World Wars, and a long Communist regime. Known in Czech as Praha, the city is the artistic, cultural, economic and political heart of the Czech Republic. Prague is one of Europe's most charming and beautiful cities, popular with budget travellers and high society revellers alike. The modern economy of Prague is largely service and export-based. The city has developed rapidly and is named as one of the best cities for innovation globally and the best in Central Europe. The city accounts for 25% of the Czech Republic's GDP making it the pinnacle of Czech economics. 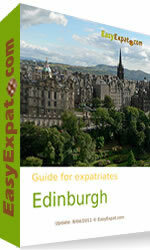 We are proud to launch our new city guide for expatriates in Edinburgh. Scotland is an ancient, mystic land of the common man, and the original intellectuals; lush green valleys and rolling hills; the intimidating dish of haggis, legendary whiskey, and fried Mars bars. As identifiable as Scottish brogue, family tartans and bagpipes appear all over the world as reminders of the great, little land so many people come from. Edinburgh, capital city, is located in the Central Belt region of the country, which is the eastern portion of the Central Lowlands of Scotland. Occasionally called "Auld Reekie", the city is bounded by the Firth of Forth to the north and the Pentland Hills. Edinburgh has been named the Best Small City of the future and is the undisputed center of Scotland's economy. It excels in the field of health, business services, and retailing. The main focus is largely based on the services sectors of banking, financial services, higher education, and tourism. Vienna is the capital of the Republic of Austria and is the country's primary city, with a population of about 1.7 million people. It is the largest city in Austria and the 10th largest city by population in the European Union. In 2005, an Economist Intelligence Unit study of 127 world cities ranked Vienna first equal with Vancouver for the quality of life. The city has earned the reputation for being Austria's cultural, economic and political hub and plays host to many international organisations like United Nations and OPEC. Austria is one of the 10 richest countries in the world in terms of GDP per capita. The country has a well developed social market economy and a high standard of living. At the end of 2010, 7482 French nationals were recorded by the French Consulate. Binational represent about 40% of the French community (the Convention of Europe from May 6, 1963 does not allow French citizens to take Austrian citizenship without losing their French nationality, but children from mixed couples have both nationalities).